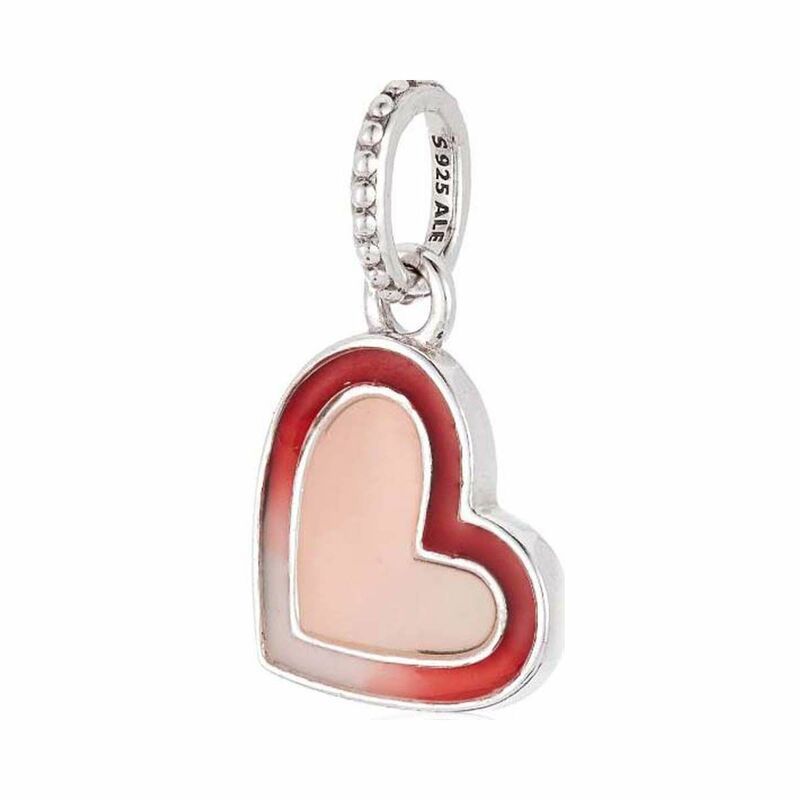 Put a unique slant on love with our hand-painted charm, cast in sterling silver. The asymmetrical heart shape is expertly shaded with tonal pink and red enamel to create a unique ombr? effect. Perfect for bracelets and necklaces, the symbolic design is engraved with the word ?Loved. ?